When you think of orthodontic correction, you probably picture a teenager sporting metal brackets connected by an intricate array of wires. Although these time-tested corrective appliances are still widely used, many people are choosing an increasingly popular, less conspicuous alternative— Invisalign® clear aligners from the best cosmetic dentist near you. Instead of metal or ceramic brackets being bonded or cemented to the teeth, these clear aligners are completely removable and, as the name implies, almost invisible when in place. 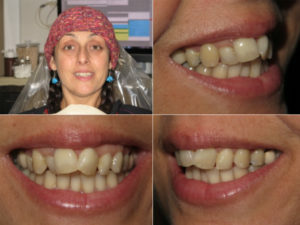 These thin, polyurethane plastic trays are a good choice for anyone who wants the ability to remove their apparatus for important social events, and it is the perfect fit for adults, self-conscious teenagers, and individuals who simply don’t feel that braces enhance their self-image. Clear aligners are also more comfortable than traditional orthodontics, never irritating soft tissue like metal wires or braces can. Easily removable, Invisalign allows you to eat what you want without restriction. Crunchy apples and tasty popcorn, which are difficult to enjoy wearing traditional braces, remain on the menu! These thin plastic aligners also double as nightguards for those individuals who tend to grind or clench their teeth while sleeping. The biggest advantage to choosing Invisalign, however, is the ability to remove the aligners for proper oral hygiene. Brushing and flossing is made decidedly more difficult with traditional braces in place, sometimes leading to dental decay or gum disease. Clear aligners work on the same principle as any other orthodontic apparatus—the application of gentle, consistent force to the teeth, resulting in proper alignment over time. However, they differ in other ways that make them an extremely desirable choice. For instance, Invisalign is made from a comfortable, flexible plastic, whereas tradition braces are made of metal, ceramic, or other rigid materials. 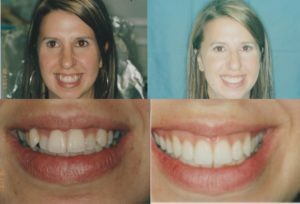 A very specialized computer software program creates a detailed plan for moving your teeth from their current alignment to their best possible positions. The plan will consist of several dozen stages, and to accommodate each stage, the Invisalign company will manufacture two “trays” or “aligners.” One of these will fit over your bottom teeth and the other one will fit over your top teeth. 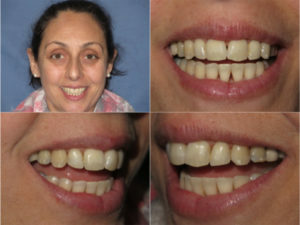 You will begin the treatment by wearing the first set of trays for two weeks, for a minimum of 21 hours per day. Then you will advance to the next pair, and so on, until you reach the end of the series. 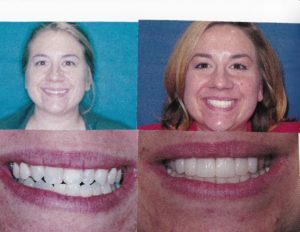 Each stage will accomplish a bit of gradual movement, until you complete your treatment and attain your desired alignment and your gorgeous new smile! Speed up your orthodontic treatment! Propel releases a safe and effective light force pulse that transmits through the roots of your teeth to the surrounding bone socket. This helps accelerate the cellular response and speeds the rate with which your teeth can move. When used with orthodontics, Propel has been clinically proven to move teeth up to 50% faster. Restrictions apply. Call for details. 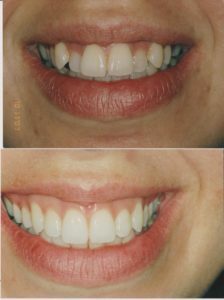 As previously noted, one of the most important advantages of Invisalign is the ability to remove the aligners for oral hygiene. Do not neglect your teeth during treatment. It is vital to brush and floss daily, and additionally, you will need to brush after every meal and snack to ensure food particles to not get trapped under the aligners. This could promote the formation of cavities and increase your risk of gum disease. You will also need to clean the aligners regularly. This can be easily accomplished by simple brushing and rinsing them in lukewarm water. Although your experience with Invisalign will be very different than having braces, *the importance of wearing your prescribed retainers after treatment is completed it is exactly the same. You will need to wear fixed retention or removable appliances for lifetime retention. 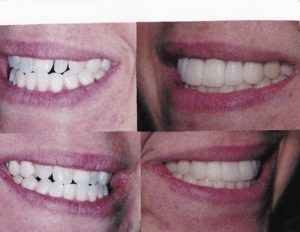 It is the only way to ensure you will maintain your post-treatment results, protecting your investment and that beautiful new smile! Remember to bring your removable retainers to your cleaning appointments and our staff can clean them for you at that visit.